As is often said, real estate is about location, location, location. We have extensive knowledge of the Longmeadow, MA area and can help you find the right home for you or the right buyer for your home. 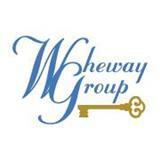 The WhewayGroup is also licensedn in Connecticut, serving Enfield, Suffield, Somers and more.